In this post we will focus on Radiate Stage which is Stage 2 of Sitecore Customer Experience Maturity Model. It is a second stage of “Attract” phase. What does it mean to be on “Radiate stage”? I will start here with the definition from “Connect” book. In Stage 2, Radiate, marketing organizations are more concerned with reaching their customers through the appropriate channels. It means that on this level you have started to think about your customers. You do not focus only on your offer and products – you understand that you have to know your clients better. That change in your understanding indicates your next actions – work on segmentation of your clients and accessibility on all channels. Omnichannel sounds like something ridiculously complicated but if you will check what exactly it means you will be surprised how easy it is. Omnichannel is a cross-channel business model that companies use to increase customer experience. ….. bla bla bla ….. including channels such as physical locations, FAQ webpages, social media, live web chats, mobile applications and telephone communication. Companies that use omnichannel contend that a customer values the ability to be in constant contact with a company through multiple avenues at the same time. In one sentence: always be there where your clients are! If you know/think that your customers use Facebook – you should be there. If you know/think that your customers would use mobile app to know you offer better – you should give them mobile app. What is cool in Sitecore – no matter which channel you will pick from the list – Sitecore already have a solution for you! Because you already know that you should not present the same things for all customers you have to split people for segments. There is no one simple answer for question “how split customers for segments” because every group of customers is different – you probably know your customers better than I do, so you will find the way to split them. You probably noticed that I wrote “simple segments” – I did that because on this level you still know only groups of your customers not concrete people (You will know them better later). What I have to do to move to the next stage? Please keep in mind that this article is just an overview - later, in next articles or in brand new series I will prepare "deep dive" into digital maturity. Stay with me, on my blog and learn more together! In this post we will focus on Initate Stage which is Stage 1 of Sitecore Customer Experience Maturity Model. It is a first stage of “Attract” phase. What does it mean to be on “Initiate stage”? 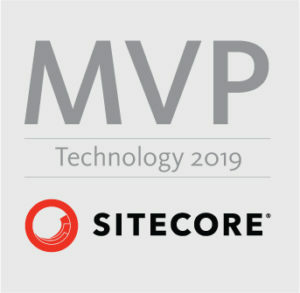 In other words everyone is on this stage as long as has a website – especially when you have Sitecore. The second background of it, is the fact that you probably focus on your products/services rather than on your clients. You use email campaigns to inform clients about new items in store or just about promotions. Because you still do not know your customer you send the same information to all your customers – it means that some of them can treat your marketing messages as a SPAM – it is bad. You will learn later about possible improvements. It is worth to mention That companies which are in the first stage usually we do not exist on social channels and Their websites are not mobile friendly. In Sitecore you have built in analytics features and even more because you have xDB which can provide you more information about your users than for example Google Analytics. Many companies have decided to use Google Analytics parallel with Sitecore xDB and others analytics tools – it is not a bad idea because many tools provides different scope of features. It is good to know and understand how tools can complement each other. If you are in initiate phase you probably only gather traffic data with Google Analytics and you maybe have installed xDB but you do not try to identify and know better your customers. As I mentioned at the beginning of this post – you use emails as a way of communication with your customers. From time to time you send bigger campaigns. You can use external mass mailing providers or Sitecore builtin Email Experience Manager (EXM – click for more information). You should noticed that at this point you send the same messages to all your clients. For example if your products are clothes you will send promotion with bow-ties to all woman and man in your database – it is not a good way of selling – you should start think about segmentation and send different personalized messages for different groups of people. At some point you will notice that there is a lot of work to do, when you have to work on segments manually – you can change that with Sitecore. Next step for you is “Stage 2 – Radiate”. In next blog post I will describe details but for now you should be aware that you need a change. Before you will move faster you have to be there where your customers are, so your website should be correctly displayed on mobile devices and you have to exist on Social Media channels because in the future you will use data gathered from them. 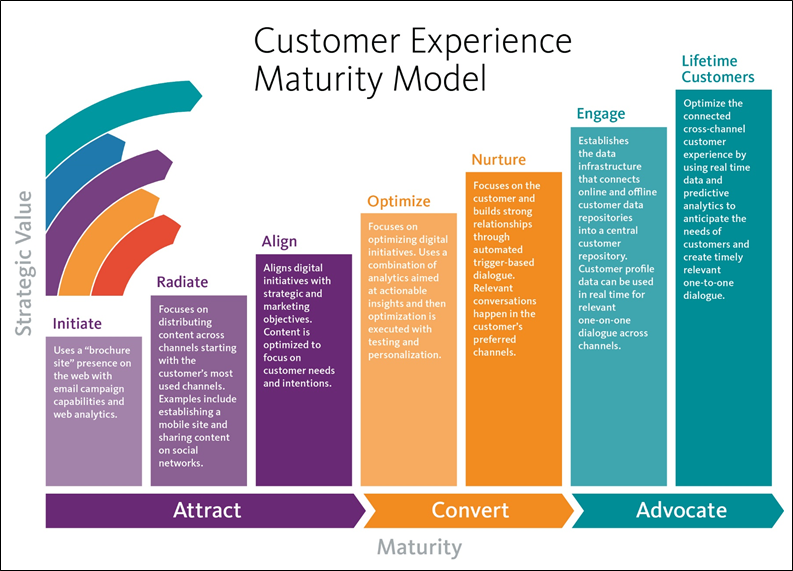 For last few months I was looking for some free time to get into the “Sitecore Customer Experience Maturity Model”. Now I have found some time which I can spend on learning new stuff. I have decided to prepare few posts about “Sitecore Customer Experience Maturity Model” but from technical person point of view. Why? Because in my opinion it is really important to understand why we (developers) spend so much time on preparing personalized Sitecore components which use xDB data. When we are talking about Digital Maturity in context of Sitecore we should remember about many Sitecore publications and SBOS team. Do you know this images? On presented charts you are able to check all seven steps to Digital Maturity. 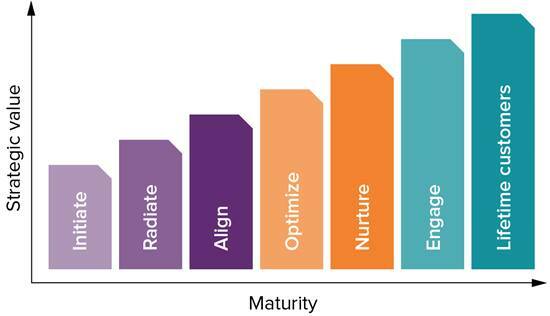 But what exactly Digital Maturity is? Well, in easy words we can say that Digital Maturity is a point on time in which you use all possible ways to know your clients and you serve to them personalized content on all possible channels. I will try to write about all maturity stages with easy to understand examples – so follow my next articles.